Help! I Need to Know How to Participate in a Twitter Party! This is a post written in hopes of answering all of your questions about Twitter Parties. However, if I don’t answer all of your questions here, please do ask them in the comments and I will answer them to the best of my ability! If I don’t have the answers (which is definitely possible), I will seek them out for you. Note: If you don’t have a grasp about what Twitter is and how it works, then you will need to get that understanding first. If there are people reading this who would like to see a post about this, please ask! Some people just start a party for the fun of it. They create a hashtag, set a time and date and everyone “chats” in twitter together. It’s a way of narrowing a group of people together for a purpose, whether it’s for fun, to promote a product(s) or a website. Do you have to be invited? No! You just join in the #hashtag of the party and whenever you tweet in the conversation at the party, make sure you add the #hashtag of the party’s name at the end of your tweet. Do note that some Twitter Parties do require you to RSVP on a different page in order to qualify to win prizes! There are many places you can join a Twitter Party. I really don’t recommend following a Party using actual “Twitter” because it refreshes so fast that it is very difficult to follow. However, if you are using Twitter to follow a party, you simply search for the #hashtag of the party and you can even save the search if you like. Then, your searched tweets come up in a time line on their own. One format that I have used is TweetChat. When you use TweetChat, you can simply follow a party by entering the #hashtag of the party and follow the chat that is going on. If you want to join in by adding tweets, you must sign in by creating an account. When you sign in, you must Authorize the App “TweetChat” to gain access to your Twitter Account in order to tweet, therefore you must be signed into Twitter. Once you have signed into Tweetchat, you no longer need to add the #hashtag to your tweet, the program automatically does it for you. The great thing with TweetChat is that you can pause the chatting if you need to take a quick break and then restart it to get caught up. You can also control the refresh speed by choosing how many seconds in between each download of new tweets (e.g. how fast the chat scrolls down your screen). So, for all of you slow readers out there (like me), you will have an easier time keeping up with fast parties! I’ve also used Hoot Suite to follow Twitter Parties by creating a new stream for a hashtag. If you’d like more info for how to do this, feel free to email me. Question: Can I join a Twitter Party if I have set my Twitter account to Private settings? The answer is, NO. No one would be able to see your answers to the questions unless they were already following you! You might be able to go public for the party and then go private again (but I honestly don’t know what happens to the rest of your tweets during the party – please don’t blame me if there are any issues with the privacy of your tweets). Question: How do Twitter Parties Work and How Do I Win the Prizes? Typically whoever started the party or invited you to the party has questions that they ask. Sometimes, but not all of the time, there are prizes attached to the questions. If you want to win the prizes, you must answer the questions within the given time frame. This is the tricky part. You must be following the party really closely to catch when the questions are closing etc. Some hosts don’t select winners until the end of the party, but I personally like to be able to dish out the goods throughout the party! Question: Do my Twitter Followers See All of My Tweets During a Party? Yes. Although some people might not be interested in seeing your responses to a Twitter Party, this is one way that others will learn a Twitter Party is going on. Also, let’s face it, people can choose to look over your Tweets during that hour. Question: How Are Winners Announced? There are typically three ways that winners are announced. Immediately after the question closes, a winner is announced. After the party, paticipants stick around for a little while after and winners are announced. The next day on the host(s) websites/blogs a page will be posted with the winners. It should be announced at the beginning of the party how prizes can be won and when the prizes will be announced so that it is clear. If you are unclear, ask! I think I’ve answered all of the questions about Twitter Parties that people have asked me over the past little while, but as I mentioned earlier, if you have more, PLEASE feel free to ask them in the comments or in on my comment form. I’d be happy to help you out! 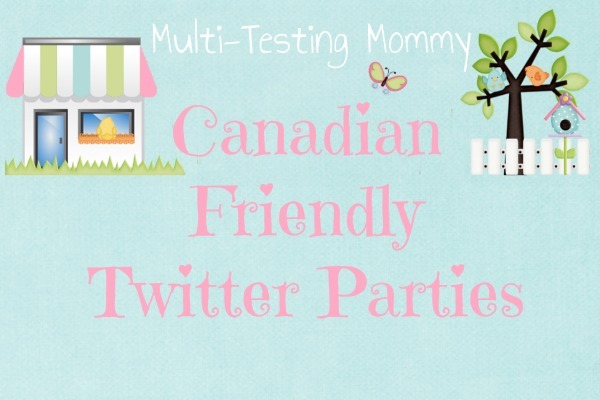 Click on the image above to find upcoming Canadian Friendly Twitter Parties! 12 Responses to Help! I Need to Know How to Participate in a Twitter Party! Haven’t tried TweetChat but I have used TweetDeck and Hootsuite. Thanks for the tips! 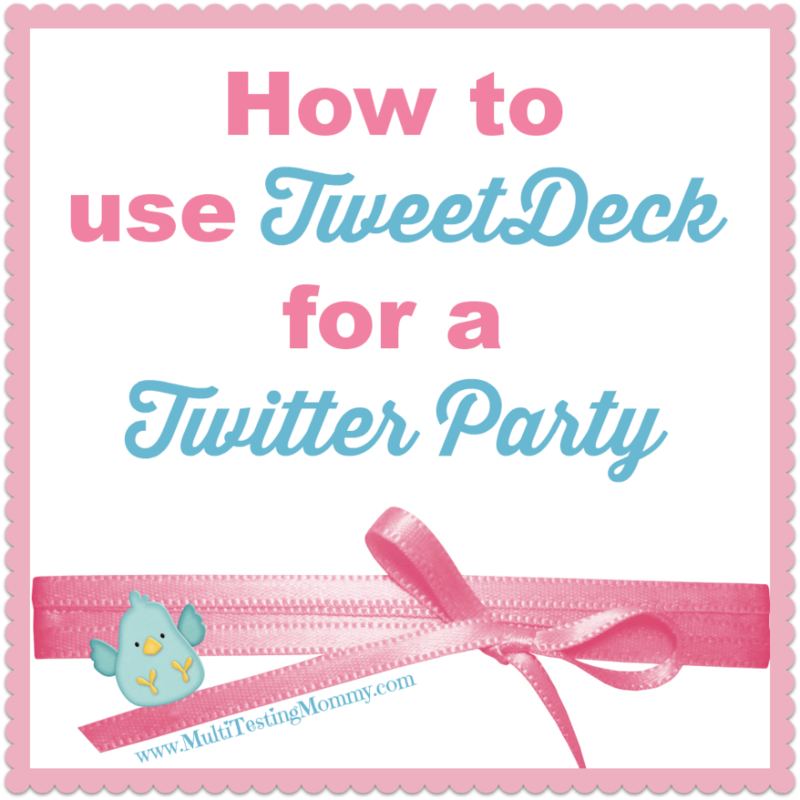 I have never attended a Twitter party – just may have to try it out. I haven’t ventured into the world of Twitter yet, but I know it’s only a matter of time. I’ve always wondering about twitter parties, and all that is involved, especially since it’s been talked about all over fb lately. This cleared things up, thank you! If you decide to take the leap, let me know and I’ll help you! We can join a Twitter Party together and I can guide you through it.